Thanks for visiting Audiko.net! It’s easy to download a free VNDLS Official- ringtones for your iPhone or mobile. Specify your favorite moments from your favorite piece of art - David Guetta Ft. Zara Larsson - This One's For You (VNDLS Ki, I Won't Let Go (Aidan McCrae X VNDLS Bootleg Re - Uploa, Mike Posner - I Took A Pill In Ibiza (VNDLS X Michael Pugz B, or any other track. You are welcome to receive your tone both in the MP3 and m4a formats, compatible with both mobile phones and iPhones. 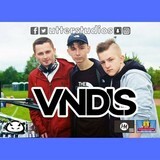 Just select a track, and choose free VNDLS Official- ringtones download option.